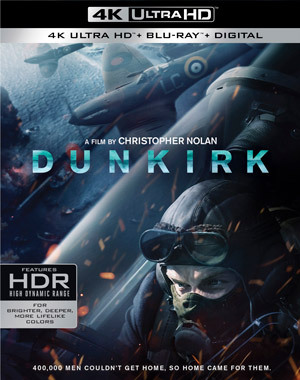 Warner Brothers Home Entertainment has just added Christopher Nolan’s World War II drama Dunkirk to is release line-up, scheduling the film to make an appearance on 4K UHD, Blu-Ray Disc and DVD in December. Dunkirk opens as hundreds of thousands of British and Allied troops are surrounded by enemy forces. Trapped on the beach with their backs to the sea, they face an impossible situation as the enemy closes in. The story unfolds on land, sea and air. RAF Spitfires engage the enemy in the skies above the Channel, trying to protect the defenseless men below. Meanwhile, hundreds of small boats manned by both military and civilians are mounting a desperate rescue effort, risking their lives in a race against time to save even a fraction of their army. 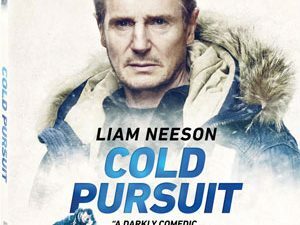 Naturally, the release will be packed with bonus features and you will find no less than 16 Featurettes on the release, covering key aspects of the production in individual segments. In the “Creation” segment, for example, you will find the Featurettes ”Revisiting the Miracle,” “Dunkerque,” “Expanding the Frame,” and ”The In-Camera Approach”. In the ”Land” segment, you will find a closer look at ”Rebuilding the Mole,” “The Army On the Beach,” and ”Uniform Approach”. The ”Air” segment contains featurettes covering ”Taking to the Air” and ”Inside the Cockpit”, wile the ”Sea” section will feature ”Assembling the Naval Fleet,” “Launching the Moonstone,” “Taking to the Sea,” “Sinking the Ships,” and ”The Little Ships”. To close it out, the ”Conclusion” section of the bonus features gives you a look at ”Turning Up the Tension” and ”The Dunkirk Spirit”. Dunkirk will arrive on December 19 and can be yours to own for $44.95 as a 4K UHD version, $35.99 as a Blu-Ray combo and $29.98 on DVD. The content of these pages is copyright © 1997-2019 by “DVD Review” and may not be copied or reprinted without the written consent of the publisher. Logos, pictures and names are used by permission and are property of the according parties. “DVD Review” is represented by Gorilla Nation. Please contact Gorilla Nation for ad rates, packages and general advertising information.